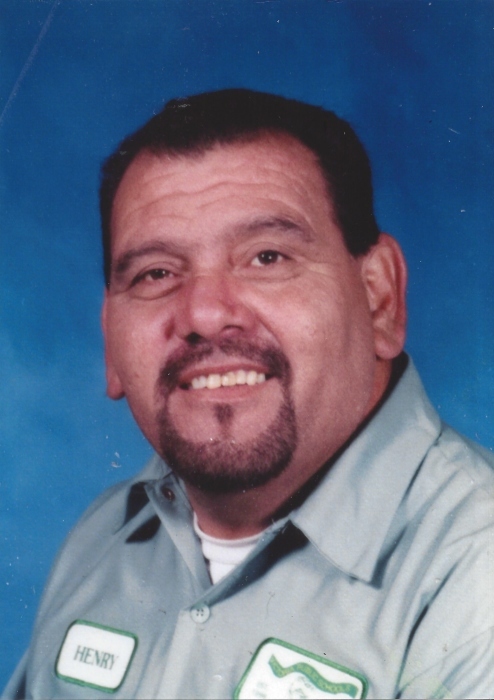 Henry Vasquez, age 67 of Victoria passed away Friday, March 29, 2019. He was born December 17, 1951 in Dewitt County to the late Francisco L. Vasquez and Catilde Flores Vasquez. He is survived by his wife, Rosemary Vasquez of Victoria; sons, Rocky Vasquez of Victoria and Henry L. Vasquez of San Antonio; sisters, Rachel Loa (David) of Victoria, Celdia Lucio of Victoria, Gloria Vasquez of Victoria, Adela Longoria (Frank) of Pettus, Elvera Canchola of Melissa, Josephine Cardinale of Refugio and Theresa Vasquez of Pettus; brothers, Mike Vasquez of College Station, Guadalupe Vasquez of Bloomington and Antonio Vasquez of Huntsville. He is also survived by 6 grandchildren and 2 great-grandchildren. He is preceded in death by his parents; sisters, Rosemary and Margie Vasquez; brothers, Rudy and Frank Vasquez. Visitation will begin Tuesday, April 2, 2019 from 5 – 9pm with a rosary to be recited at 7pm at Angel Lucy’s Funeral Home in Victoria. Visitation will resume Wednesday, April 3, 2019 at 8:15am at Our Lady of Sorrows Catholic Church with a funeral mass to be celebrated at 9am. Burial to follow at Resurrection Cemetery. Pallbearers will be Josh Garcia, Martin Loa, Eric Vasquez, John Fuentes, David Loa Jr, and James De La Garza. Under the direction of Angel Lucy’s Funeral Home in Victoria, 361-575-3212.